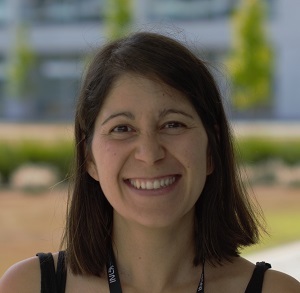 Ana Gómez is currently a postdoctoral researcher of the Applied Nano Optics Group at the Life Sciences Department at INL. Her current research interests are mainly focused on the design and applications of a microscopy platform that combines superresolution Structured Illumination Microscopy (SIM) and Quantitative Imaging (QI) nanomechanical mapping Atomic Force Microscopy (AFM). Ana holds a Ph.D. (2016) degree in Lasers and Photonics Technology from the University of Santiago de Compostela (USC), work dedicated to the study of new optical materials known as GRaded-INdex (GRIN) materials and their fabrication for laser beam shaping purposes. She has contributed to ten peer reviewed research articles, of which seven as first author, thirteen conference proceeding publications, three book chapters, and is the co-inventor of one national patent. Sol-Gel Glass Coating Synthesis for Different Applications: Active Gradient-Index Materials, Microlens Arrays and Biocompatible Channels. Study of Different Sol-Gel Coatings to Enhance the Lifetime of PDMS Devices: Evaluation of Their Biocompatibility. Materials 2016, Vol. 9(9), pp 728. A.I. Gómez Varela, M.T. Flores Arias, C. Bao Varela, F. Rey García. Active GRIN lens, fabrication method and system comprising the use of the lens. Patent number 2 528 990, June 22, 2015. Synthesis and characterization of erbium-doped SiO2-TiO2 thin films prepared by sol-gel and dip-coating techniques onto commercial glass substrates as a route for obtaining active GRadient-INdex materials. Thin Solid Films, Vol. 583, pp 115-121, 2015. Focusing, collimation and beam shaping by active GRIN rod lenses: Theory and simulation. Optics and Lasers in Engineering, 50(12):1706–1715, 2012.